Who knew vacation could be this exciting? 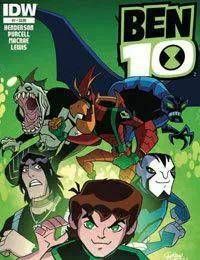 Ben Tennyson and his teammates kick off a maelstrom of action when an ocean cruise brings Ben in the cross hairs of Ssserpent, whos out to find a long-lost underwater society. But does Bens new, slightly oddball love interest harbor dark secrets of her own? Aliens, superpowers, ships and swimsuits: the perfect ingredients for high-seas adventure.